Incomparable quality which is essential to grab attention on any demo and release material. Prices from £100 per day - Call us now on 07970 59 00 36 or 07903 43 27 86 or 07929 34 74 72 for more details. i-choose music is proud to have worked with some fantastic solo artists in the recent past. As well as giving unrivalled autonomy and control to our more experienced clients our engineers can provide a very consultative and open advisory role to people looking for support on solo projects. We have a great deal of experience in numerous genres of music and particularly in creating tailored arrangements for our clients. Simply a great way to entertain kids! 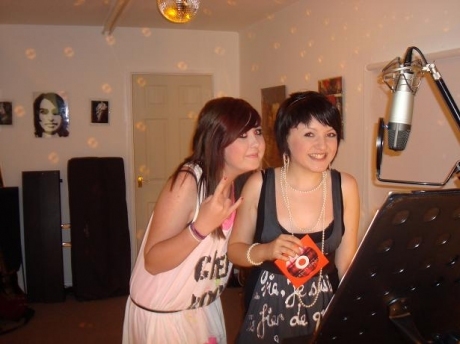 Hire the studio for a session to record them singing over their favourite songs. The live room features disco lighting and the video link system coupled with the chill out zone and garden with marquee will make your children feel like popstars for the day. Please call for information, we are happy to discuss any ideas or requirements..